Major challenges demand a very well engineered solution. 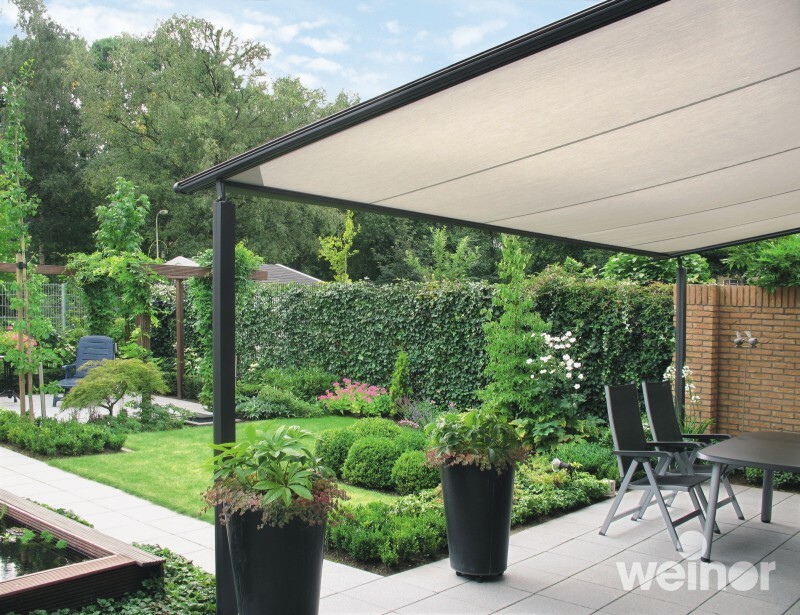 The Weinor Plaza home is a textile patio roof, is the ideal solution for very deep patios and is especially suited to windy locations. 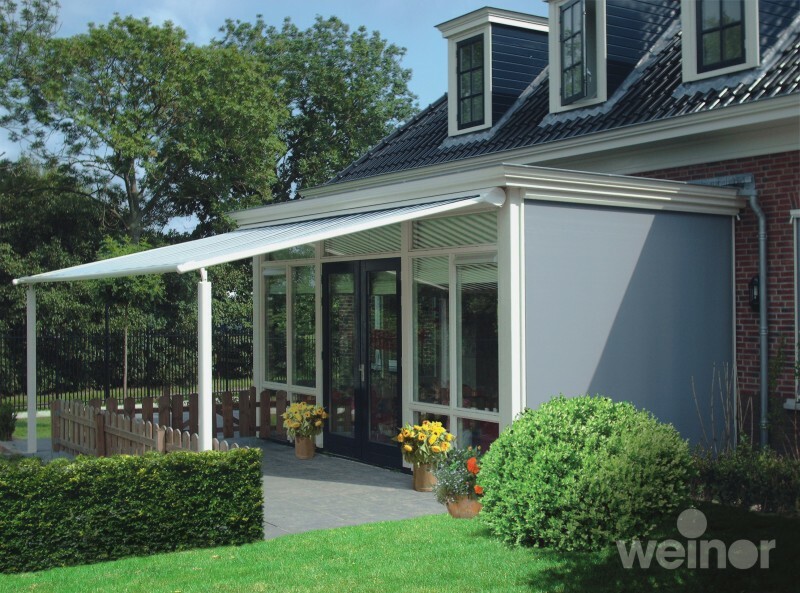 Here, our tried-and-tested WGM 2030 conservatory awning, which has built a reputation for mastering areas that pose special difficulties, is mounted at the front on sturdy posts fitted to weinors Terrazza patio roof. 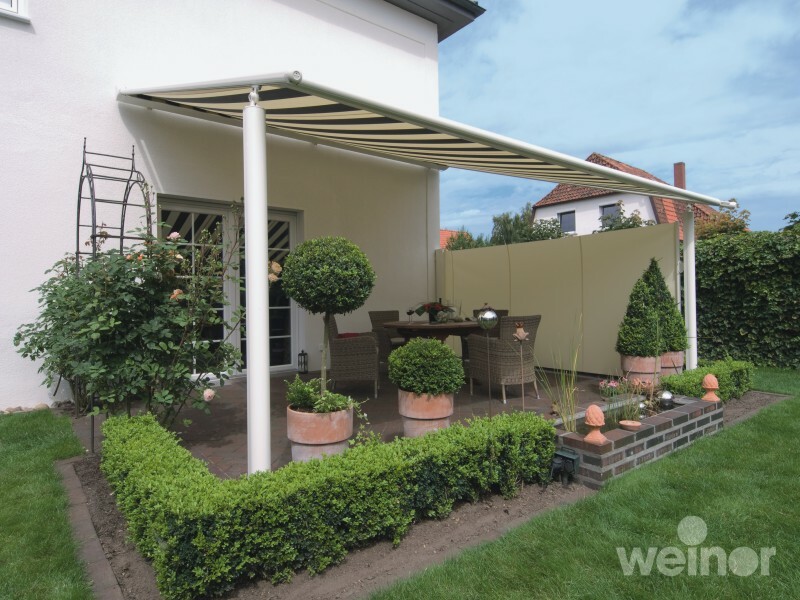 This solution also enables us to reduce significantly the amount of stress acting on the installation points on the wall-an alternative that works in numerous cases. 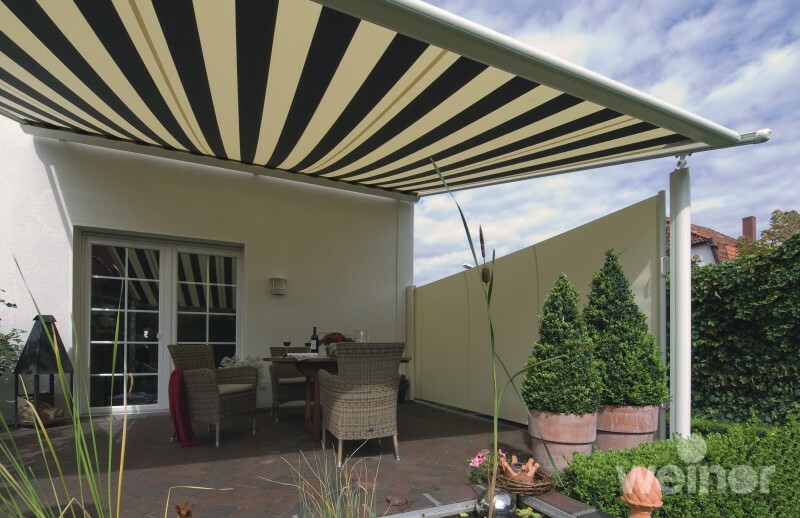 All the Plaza units are made to order to the exact millimetre and are electric operated as standard due to the high tensions required in the fabric pulley system in order to keep the fabric cover as tight as possible for minimum sag when open. Many options are available for the control of the system including radio control hand sets, sun and rain sensors, timers and others. 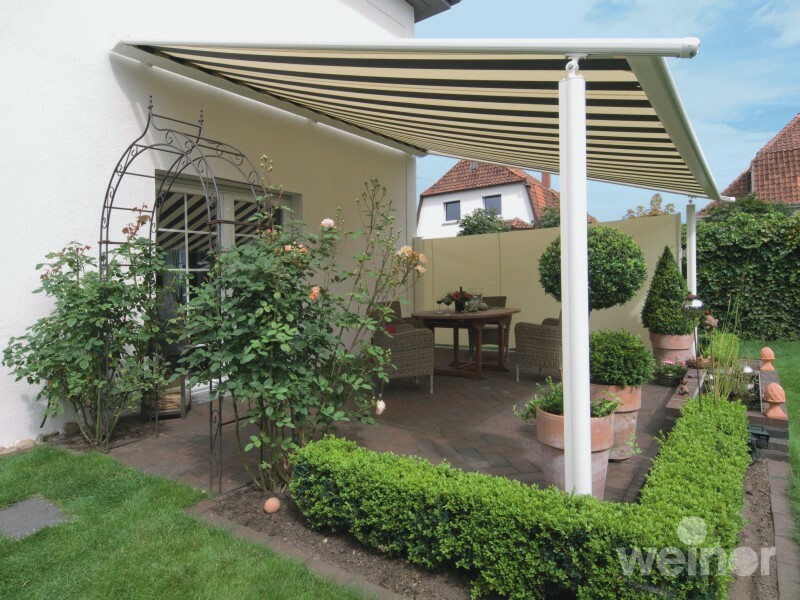 Weinor offer a range of accessories to make your Plaza Pro functional as the weather gets cooler and the evenings get darker. With the Light Bar Lux, you can always put yourself and your guests in the right light. 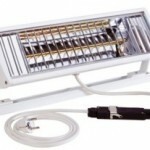 The light bar is easy to fit and can be operated by hand or remote control. 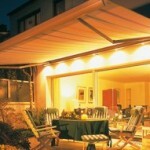 You can use the light to create a pleasant atmosphere on your patio. 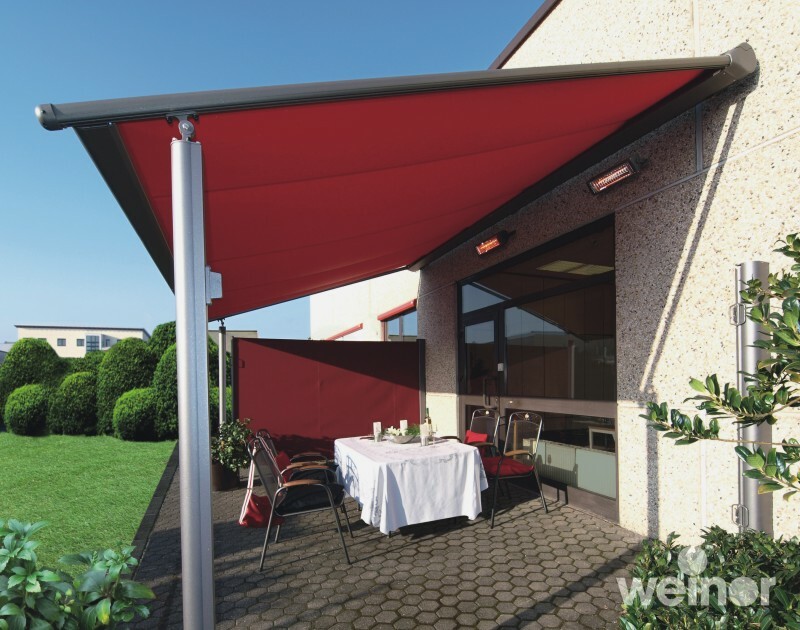 The heating system tempura provides cosy warmth and makes your time under the weather roof a more pleasant experience. 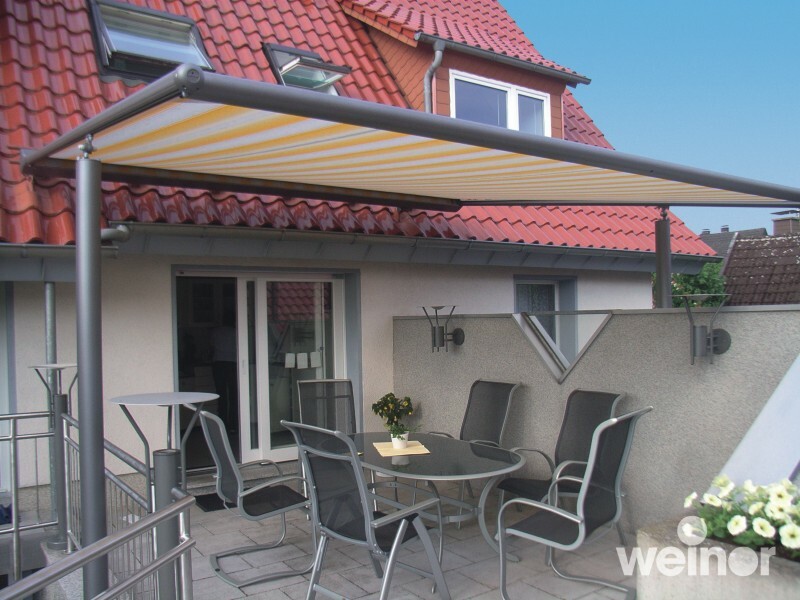 High energy-saving potential: the high-frequency thermal waves from the Tempura patio heating system penetrate the air without warming it and produces heat where it is needed.